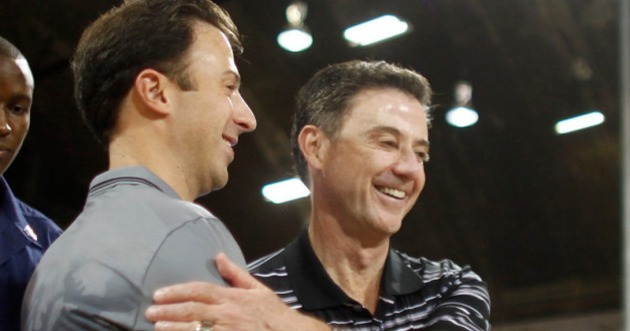 If anybody knows championship-level point guards, it’s Hall of Fame coach Rick Pitino. After all, the former Louisville coach mentored college stars like Tony Delk, Russ Smith, Peyton Siva, Terry Rozier and Donovan Mitchell. That’s why his opinion about the Gophers’ point guard position being “the only weak spot right now” on their team was so interesting to hear on a recent podcast from recruiting expert Evan Daniels. Gophers coaches were frustrated last year with Washington being more focused on his social media identity as the face of the Jelly Fam movement than learning to do the things to be consistent as a freshman. So it’s no surprise Pitino's father shared a similar sentiment. Problem is the Gophers really don’t have many options if Washington doesn’t turn the corner this season. Richard Pitino mentioned recently that both junior Amir Coffey and senior Dupree McBrayer were competing with Washington for the point guard spot in practice. Pittsburgh transfer Marcus Carr would be in the mix, but he’s still waiting to hear back from the NCAA about a waiver to play right away this year. Pitino’s been blessed with pretty steady point guard play for his first five seasons with the Gophers. He inherited All-Big Ten performer Andre Hollins, who played two seasons with DeAndre Mathieu sharing duties. Hollins and Mathieu passed the torch to Nate Mason, who finished his career last season ranked fifth in scoring and third in assists all-time in school history. Mason led the Gophers to their only NCAA tournament appearance under Pitino, but he graduated. So you can see why Pitino’s father is so concerned about the U’s point guard situation and how critical it is to the success for his son this season. On a different topic, Rick Pitino said on Daniels' podcast that he and his son are “very, very different coaches” when asked to make a comparison.